This is a piece of wood carving covered with gold leaf, traditionally used in interior ornaments such as decoration for bed post or family alter table. 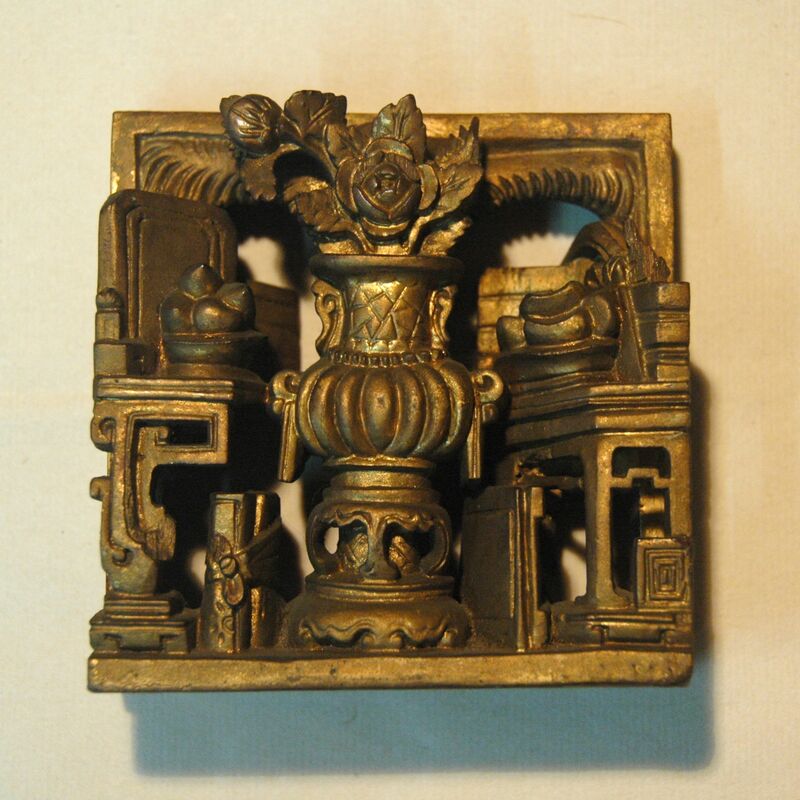 Though it can be found throughout China, it is mainly in the Southern Region where carving are more refined. The golden wood carving makes use of the depth of the material, creating layers and a sense of perspective as a show of craftsmanship.